Beautiful Nigerian actress Rosy Meurer has come online to reveal that she would be getting herself a private jet real soon. 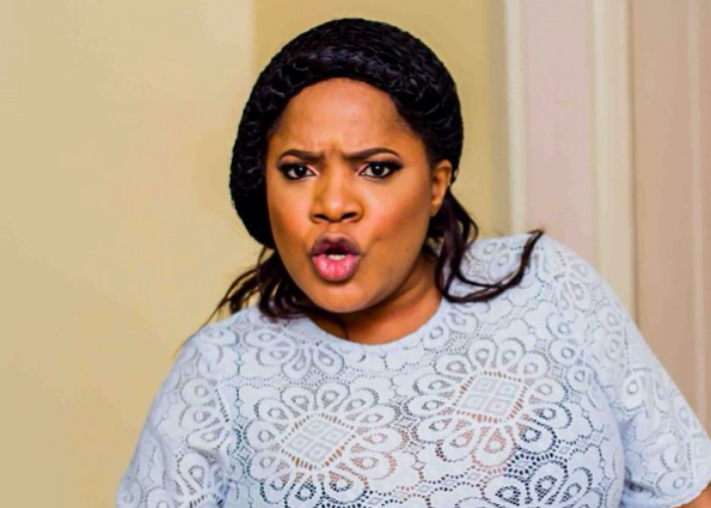 The Nollywood actress also complained that she has been flying jets that don’t belong to her and that very soon she would get hers, highlighting that she ‘always gets what she wants’. Singer Davido just dropped a hilarious post on his Instagram story after his babymama Sophia complained her IG was hacked. The singer’s babymama was said to have deleted her instagram account after she could not bear the shaming and insults from Nigerians after Davido’s ‘show of love’ for his girlfriend Chioma, she slammed that rumour saying that her instagram account was hacked. Here are lovely photos of some pretty female NYSC corp members who rocked the Delta State Camp Carnival. The National Youth Service Corps (NYSC) orientation camp is undoubtedly the best phase of every corps member’s service year as the three weeks spent there are always momorable becuase of the activities that are put in place to make it a fun-filled time for the youths . Earlier today, Singer Davido took to social media to shade his first baby mama, Sophia after she declared that her Instagram account was hacked, well it appears that she has just replied the singer in kind. A former teller at Stanbic Bank identified as Choma has been sentenced to four years’ imprisonment for allegedly stealing the sum of K33, 928.20 belonging to a customer. Here’s the burial poster of the 50-year-old lawyer, Mr Otike Odibi who was killed by his wife in Diamond Estate, Sango-Tedo area of Ibeju Lekki, Lagos State last week. The wife who is also a lawyer, Mrs Udeme Odibi, allegedly stabbed her husband to death in their apartment. According to police, the man was found dead on the bed with his stomach ripped open. The killer severed his genital and placed it on his right hand. 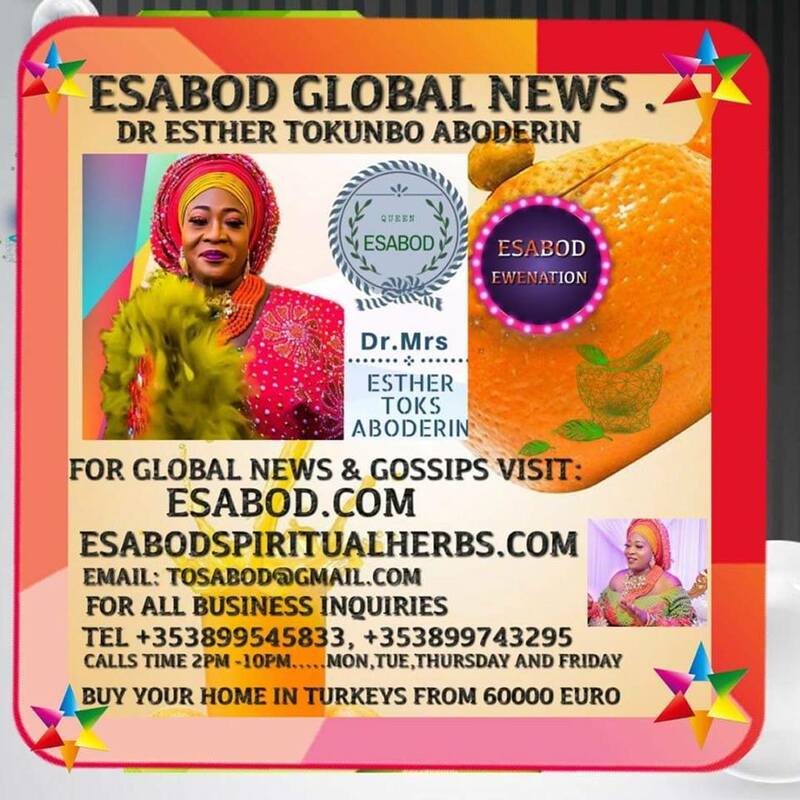 Source said, the suspect, Mrs Udeme had unsuccessfully attempted to commit suicide after allegedly killing her husband. She was rushed to the hospital by neighbours where she is currently receiving treatment. Sources further revealed that the couple married 3 years ago after the deceased divorced his first who bore him a daughter presently schooling in UK. Singer Davido who has been in the news lately for lavishing his current girlfriend, Chioma with love & gifts has dropped everything to rush to Atlanta and celebrate his second daughter, Hailey. Nina of Big Brother Naija has apologized to Bobrisky after they fell out because she began working with his arch-enemy, Toyin Lawani. A Nigerian man identified as Editi Effiong has sown into the future of the next generation by building a computer lab for his Alma Mater, the primary school which he attended back on 1992. A lady who was let down by her parents after she got pregnant before marriage, has become a manager and now takes care of her parents and siblings. A woman Identified as Mrs. Delight has cried out after her brother-in-law, Mr. Michael defiled her 11-year-old daughter. According to Chritsianah Fate Foundation who rescued the little girl and facilitated the arrest of the man, the little girl was given out by her mom to her brother-in-law who promised to send her school. Mr. Michael didn’t keep his promise but instead defiled the little girl. As the countdown continue to The Street Clean Sanitation Campaign holding in Abuja on Saturday, 12th May, 2018, the HELP CLEAN FOUNDATION have intensified plans to ensure a successful exercise with several partnerships and endorsements from Ministries, Agencies, corporate organizations and individuals. Among those who have identified with the project, taking place at Apo Resettlement from 9:am are Abuja Environmental Protection Board, Mike Omotosho Foundation, Big Church Foundation, Grand Cubana, ‎My Dream Nigeria, Amity Global Network and first runner of Big Brother Nigeria CEE C.
A beautiful Nigerian lady identified as Chioma Okpalugo has once again proved true the saying that ‘what a man can do, a woman can do better’ after created her own road construction paint. Here is Colin Freeman, a BBC Correspondent’s report about Evans Williams, a Nigerian who sold his TV, bed, refrigerator and other items to pay some smuggling gangs to help him cross the Sahara to Libya. Nigerian male barbie,Bobrisky is not happy that after all he did for Nina while she was in the big brother naija house and the things he promised to do for her outside, she still went ahead to work with his enemy, celebrity stylist,Toyin Lawani. Veteran music duo, Mad Melon and Mountain Black popularly known as ‘Danfo Drivers’ have finally reacted to Tekno’s latest song ‘Jogodo‘ where he sampled their 2008 song ‘Kpolongo‘. Davido has emerged the first Nigerian musician to buy a private jet. The singer took to twitter where he made the announcement that the jet will be landing in the country anytime soon. According to Chritsianah Fate Foundation who rescued the little girl and facilitated the arrest of the man, the little girl was given out by her mom to her brother-in-law who promised to send her school. Mr. Michael didn't keep his promise but instead defiled the little girl. Investigations revealed that Mr. Michael defiled the 11-year-old girl and also three of his cousins aged 10, 6 and 4years old. A video has emerged of Big Brother Naija ‘lovebirds’ Alex and Tobi having a disagreement in public over Alex showing off on her Instagram live. 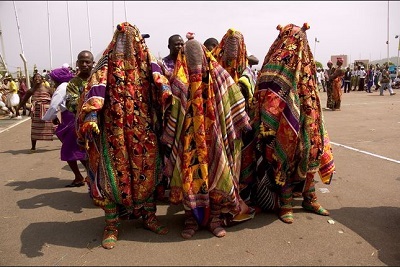 On the 8th of May, Ikorodu city on the outskirts of Lagos Metropolis, celebrated its annual Oro festival at night, and the effects of the annual celebration has been recorded. Cee-C has taken to her Instagram page to share more photos she took with Chioma and Davido on Davido’s private jet. A mum is so addicted to eating clay that she has quit her teaching job to sell it. Eniola Badmus looked absolutely stunning in the black dress she wore to the London premiere of the movie Ghetto Bred, produced by her. The movie features Ushbebe, Yaw, Peggy Ovire, Bolanle Ninalowo, Jide Kosoko and many more. As it has always been emphasized earlier, Nigeria is blessed with both vast human and natural resources but the problem is how to harness them. By all standards, the death, burial Ceremony and celebration of life of Late Ezinne Eunice Nwarulo Ololo popularly called ‘Starmother’ by all and sundry while alive was truly a carnival for the life and time of an unequalled and caring mother. The 2018 Forbes World Most Powerful People list is out and Africa’s richest man and Nigerian business mogul, Alhaji Aliko Dangote is the only Nigerian to make the 75 Most Powerful People in 2018.
outh Africans can now withdraw their medicines through ATM machines. Patients in South Africa who suffer chronic illnesses like HIV/AIDS, Diabetes and TB no longer need to stand in long queues to wait for medicines. A Nigerian woman based in Port Harcourt has taken to her Facebook page to call out a side chick who she claims is dating her husband.